Now, Julie and Amanda are making their incredible discovery known to all by making ISCHIA available throughout Malaysia! For years, Amanda and Julie had independently scoured for fuss-free skincare products that would soothe their hypersensitive facial complexion. They had spent large sums of money on a vast array of premium skincare products only to be let down by disappointing results. All that changed when Julie discovered a facial solution by ISCHIA, Korea and introduced it to Amanda. Although initially skeptical for fear of allergic reactions, Amanda adopted Ischia into her daily facial routine. She experienced brighter and whiter skin without the irritation that she experienced while using other skincare products. She was encouraged when her mother who also used ISCHIA, enjoyed the radiance that it brought to her complexion. After discovering ISCHIA, Julie and Amanda were driven to share the benefits they gained from ISCHIA. 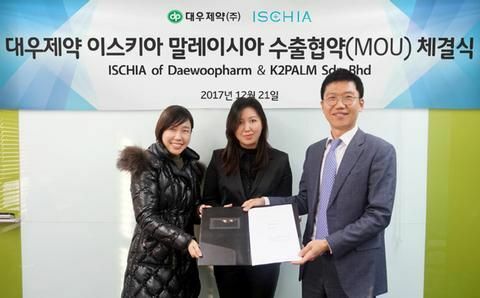 In December 2017, Amanda and Julie made an official visit to Ischia’s factory in Busan to understand their products and learn how this fabulous Korean skincare product was made.